A walk of mmoderate difficulty with a steepish hill to the church. After heavy rain some stretches may become muddy. There is no pub in Upton Hellions. 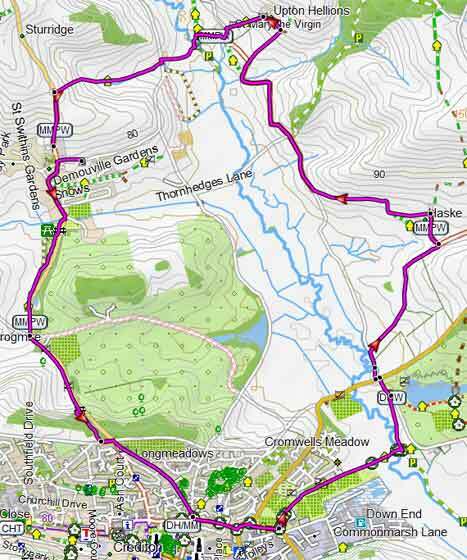 Many great walks of varying lengths to choose from. 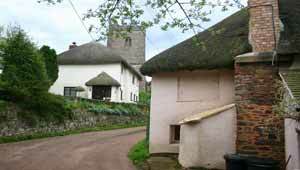 The landscape around has not been changed for centuries and is dotted with old Devon cottages and manor houses. A very pleasant pub walk. 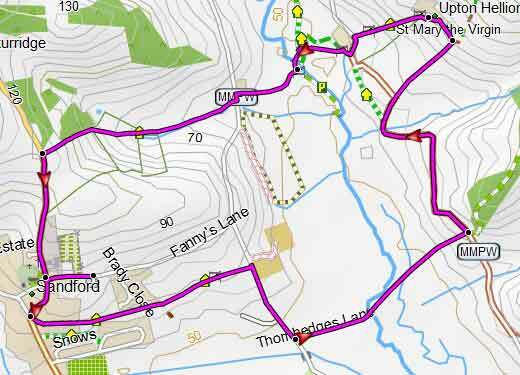 This pleasant & quite strenuous walk starts at Sandford village hall's car park and follows a new cycle track past a nature reserve to Crediton's sports centre. 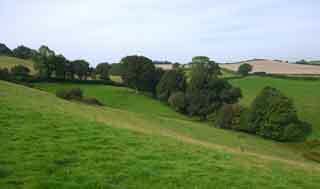 From here the route meanders towards Haske ,then climbs somewhat steeply following an old bridle path. It returns via the church of Upton Hellions.